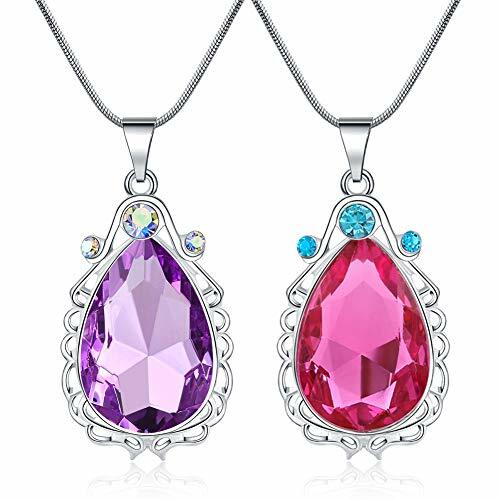 Best gifts for girls Two beautiful and kind princesses, wearing gemstone necklaces of different colors, are really suitable for twin sisters. These two necklaces will be a great gift for grandma to granddaughter and niece. This gift also represents the love of mother to two daughters. 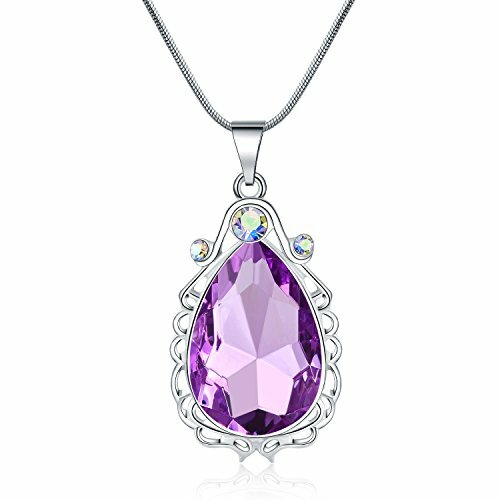 Princess Amulet Amethyst Necklace This necklace is designed for your little girls. This is a good and perfect Halloween gift for your girls. Both the necklaces are made of alloy and crystal. Your little cute can wear them for photos, play around, beach, and parties. 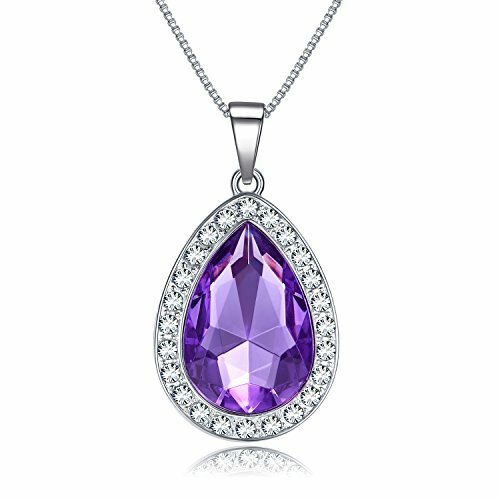 We send this pendant necklace with beautiful box which can be used as gift box. 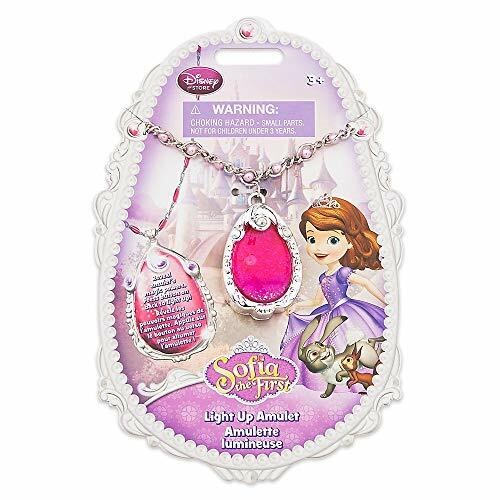 The jewelry set is fit for toddle, kids, teen girls, as well as adult for decoration. VCMART *VCMART design & manufacture necklace by ourselves with superior material. *Check out our storefront for more adorable dress-up ideas. *Due to camera and the computer screen showing, color will be a little different. Hope you kindly understand it. This dazzling quartet earned our fairy godmother's approval! Our crown accessories is best gift for childs and suitable for cosplay party, theme party and so on. We really hope you enjoy our good quality crown accessories. From the Manufacturer Alead's products inspire exploration and enrich children's lives in a way that's as engaging as playtime itself! Alead's products with a commitment to uncompromising quality, safety, service and value. 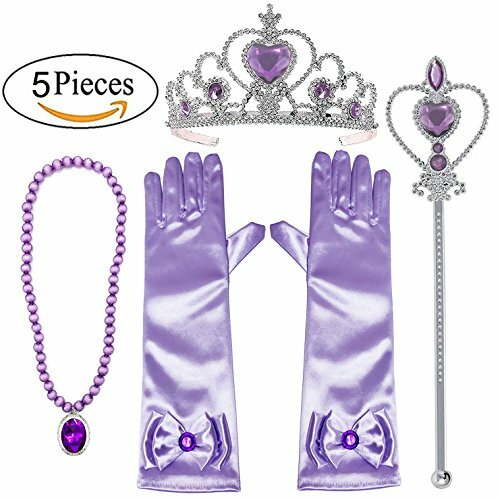 Product Description This dazzling princess dress up accessories set earns our fairy godmother's approval! Our crown accessories are the best gift for children and suitable for cosplay parties, theme parties, birthday parties and so on. 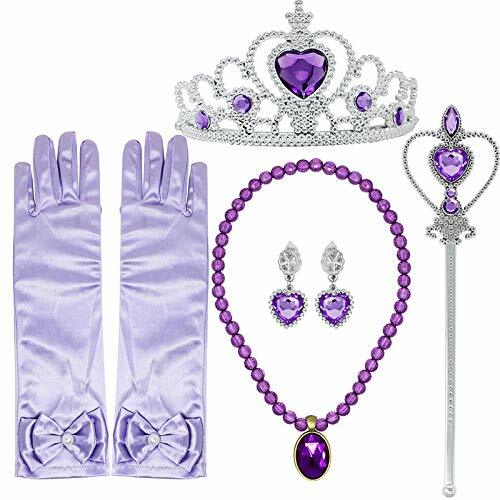 We really hope you enjoy our good quality princess dress up accessories.From the ManufacturerOur products inspire exploration and enrich children's lives in a way which is as engaging as playtime itself!Our products are always with a commitment to uncompromising quality, safety, service and value. Excellent for birthdays, dressing up, Halloween, photo shoots, play time and so much more!